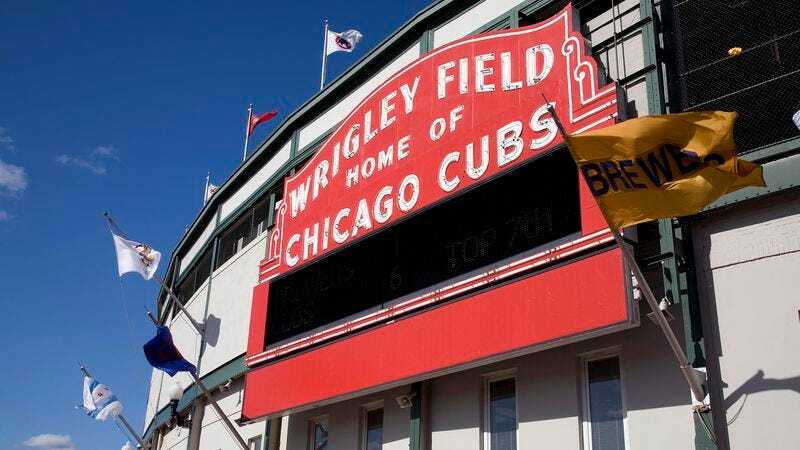 CHICAGO—Cubs Chairman Tom Ricketts unveiled a $500 million Wrigley Field renovation proposal Thursday that includes demolishing the clubhouse, bleachers, upper deck, lower deck, as well as building a new stadium 10 miles north of the soon to be razed ballpark. “It’s going to be the same Wrigley Field that Chicago fans love, but it will have more space, new corporate boxes, new high-definition video boards, a new location, and a brand-new name,” said Ricketts, adding that the plan to modernize the revered Wrigley Field by tearing down outmoded features and constructing a new ballpark in the suburb of Evanston will be respectful to the stadium’s rich history and maintain its iconic status. “I’m very confident that these renovations will be enjoyed by our new roster, management, and fanbase.” Ricketts assured reporters that the refurbished outfield wall at Wrigley Field will still feature a 5-foot section of ivy.